The Culkin School has performance opportunities throughout the year. 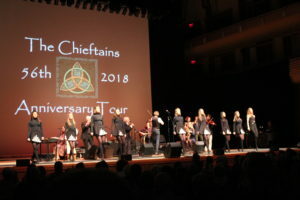 The school performs at local schools, assisted living facilities, churches, weddings, embassies, pubs, and have even performed at Wolftrap, Strathmore and The Kennedy Center. Participating in performances is a great way to get more involved in the Culkin community and meet other dancers. Performing helps dancers gain confidence while having fun! We book many different types of shows. Some clients may request a teaching element as part of the program and others may just want to see younger dancers. Venue types and sizes vary and some shows are relaxed while others require a level of professionalism. More high profile shows are reserved for our championship level dancers, who have more experience performing. We have all types of performance opportunities that are appropriate for all of our dancers. Show information and invitations will go out via the Yahoo! Group and will also be listed on the website. Each show will list the level of dancers invited to participate. 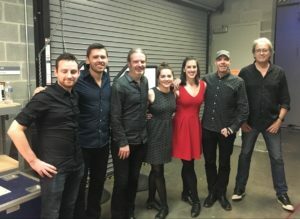 HOW DO I KNOW ABOUT & SIGN UP FOR A PERFORMANCE? The Culkin School has moved to SignUpGenius.com for performance information and sign ups. Once the SignUpGenius link has been created with all the performance details, an email with the link is sent through our RegOnline registration system to all dancers who are eligible for that show. Once a show is in the SignUpGenius system, an announcement is also posted on our school Yahoo! Group. If your dancer is interested in performing, please make sure to check our Yahoo! Group for postings. If you are NOT a member of the Yahoo! Group, please go to our website for instructions on how to become a member. Just click the “connect” link. All shows are also listed on the calendar on our website. Just click here to get to the calendar. To get to the Culkin School’s page, you can click here to get to SignUpGenius.com. NOTE: You have to type in culkinshows@gmail.com in the “search for the creator’s email address” to get to the show sign ups. February and March, which is St. Patrick’s Day season. Please note that all dancers, regardless of their level, are welcome to march/dance in the Gaithersburg Parade and Washington, DC St. Patrick’s Day Parades. All your dancer needs for the parades is a black Culkin Sweatshirt, black pants, a white turtle neck and sneakers. Please note that in order to perform with the school, you must have the Beginner costume. We have dedicated an entire page to costuming; click here for all costuming details. IF YOU ARE UNSURE OF YOUR LEVEL, just click here to find our Class Schedule and Levels. Class levels can be found on the left of the Schedule Table.